The bustling metropolis of Tokyo boasts an unending number of attractions to explore. 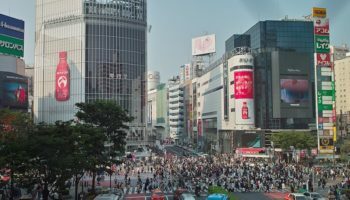 From the impressive Imperial Palace to the Tsukiji fish markets to the eclectic street fashions of Harajuku, the Japanese capital is bursting with colors, sights and sounds. 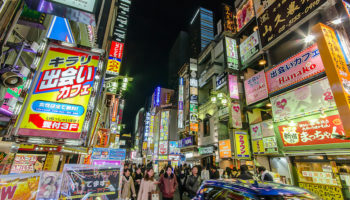 Fresh sushi, handmade ramen noodles and some truly thrilling nightlife means that there are many reasons to stay in Tokyo, and many visitors stay within the city while in Japan. However, taking day trips from Tokyo can allow for a more comprehensive view of Japanese culture, cuisine and landscape. Check out a few of these day trip ideas to see beyond Tokyo on your next trip. Head southwest of Tokyo for 80 km (50 miles) and you’ll reach the city of Odawara, in the Kanagawa Prefecture of Japan. 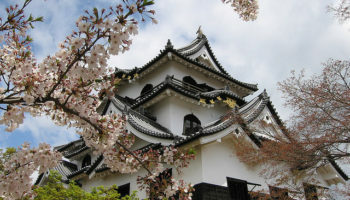 Odawara is home to the Odawara Castle, a 15th century structure from the Edo period. In 1950, the castle was renovated to become a major tourism attraction with an onsite history museum and observation deck. On display are countless ancient weapons and traditional Japanese tools, but the best thing to do is head to the top of the castle’s tower and look out over the gardens below. 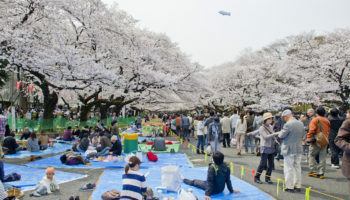 In the spring, the castle becomes a popular place for travelers and Japanese residents alike, as the gardens are in full bloom with cherry blossoms. On the Shinkansen bullet train from Tokyo Station, it can take as little as 40 minutes to get to Odawara Castle. Just hop on in Tokyo and sit back and relax as it whisks you to Odawara Station. Once you alight here, it is then a five to ten-minute walk to the impressive castle. While lots of trains run from both Tokyo and Shinjuku Station, these often take around double the time to get there, so it is better to take the bullet train if you can. As Mount Fuji is not too far away from Odawara Castle, lots of people combine the two into one unforgettable day trip. As well as seeing the iconic mountain and spectacular castle, tours also take you for a scenic cruise on the delightful Lake Ashi. Your knowledgeable guide will tell you all about the amazing sights as you go. See trip reviews & prices. Lying 60 kilometers to the south of Tokyo, Enoshima is a tiny island just off the coast. The destination feels completely different from the hustle and bustle of Tokyo, and it boasts a very casual, relaxed beach atmosphere. While there is a popular Enoshima Shrine and the Enoshima Aquarium, the best way to experience Enoshima is just to stroll along the water. You’ll come across several scenic overlooks, tidepools, botanical gardens and even caves, not to mention plenty of outdoor cafes with fantastic views. There are a couple of different ways to get to Enoshima by public transport, although they all involve one change, as no direct trains run between the two. From either Tokyo or Shinjuku Station, take a train to either Fujisawa Station or Ofuna Station, which both lie just outside of Enoshima. From the former, it is then a lovely 10-minute ride on an old but charming train to Enoshima. Regular trains also run from Ofuna Station to Enoshima. All in all, it should take around an hour and 45 minutes to two hours to get there. As the two cities of Enoshima and Kamakura lie right next to each other, many people decide to take a guided tour that takes them to both places in just one day. 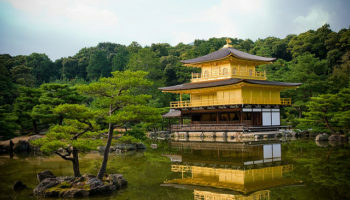 With a professional guide to take you around both cities, you’ll see all the main sights, with Hokoku-ji Temple and the Great Buddha of Kamakura among the many highlights. See trip reviews & prices. The distance between Tokyo and Kyoto is a whopping 450 km (280 miles), but it can still be done as a day trip thanks to the high speed bullet trains of Japan. If you only have a day to spend in Kyoto, stick to the central district. Spend some time touring Nijō Castle, built in the 17th century and made up of two concentric rings of structures. 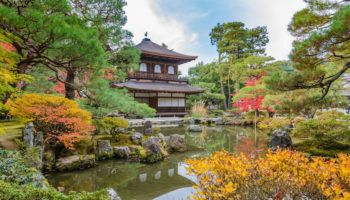 You might also explore the Nishi Honganji, a beautiful Buddhist temple, or climb Kyoto Tower to enjoy panoramic views over much of the sprawling city. By shinkansen bullet train, Kyoto is only two and a quarter hours from Tokyo. You can catch the shinkansen from either Tokyo or Shinagawa Station; tickets cost 13,080 Yen one way. Once you arrive, you will most likely have to take a bus or metro to the sights you want to check out. 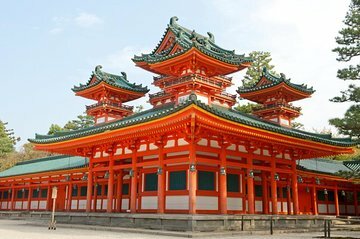 A lot of people who visit Kyoto from Tokyo do so as part of a sightseeing tour. 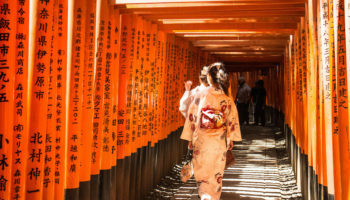 You still go by train but these are usually well worth the cost as an expert guide will take you around sights such as Sanjusangen-do Hall and Kiyomizu-dera Temple, explaining the history and culture of Japan as they go. You’ll also get to enjoy mesmerizing views of Kyoto from a wonderful old hilltop temple. See trip reviews & prices. Two hours north of Tokyo by train is Nikko, a small town in Tochigi Prefecture that is best known for its national park. Nikko National Park is a popular hiking destination where you can see lakes, waterfalls and lush greenery on the plateau. It is particularly appealing during the summer, because the high elevation translates to cooler temperatures than in the city of Tokyo. 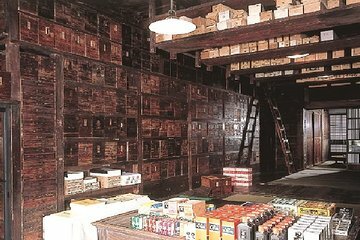 In addition to the natural attractions like Lake Chuzenji and Yudaki Falls, there are a number of historic architectural landmarks. Three of the most significant that you’ll definitely want to include in your itinerary are the Nikkotoshogu Shrine, the Futarasanjinja Shrine and Rinnoji Temple. 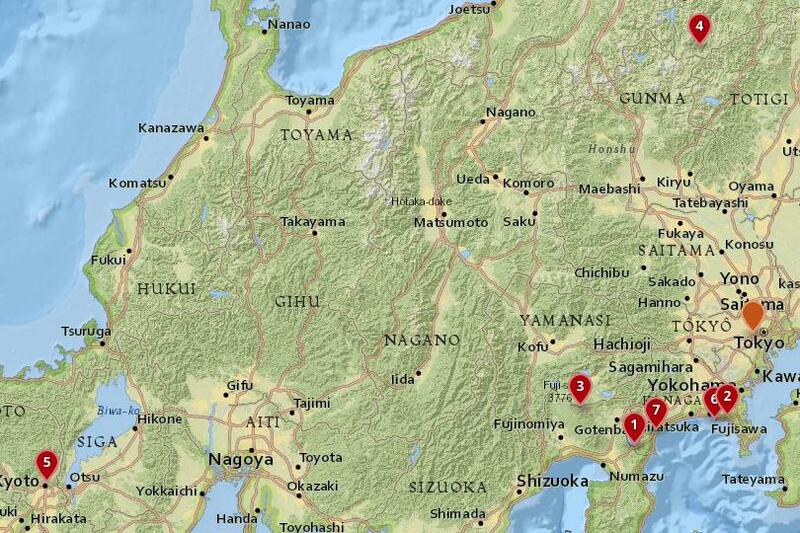 To get to Nikko from Tokyo is very easy; it takes about two hours to get from one city to the other. The quickest way from Tokyo Station is to take the Yamagata Shinkansen or Tohoku Shinkansen to Utsunomiya Station, where you then take the Nikko Line to the city center. From here, you need to take a bus from Tobu Nikko Station into Nikko National Park. The journey takes between 50 to 80 minutes depending on whether you stop off at Lake Chuzenji or Yumoto Onsen. As you can see, it is quite time consuming to go by public transport, so you may want to consider joining a guided tour to save time. 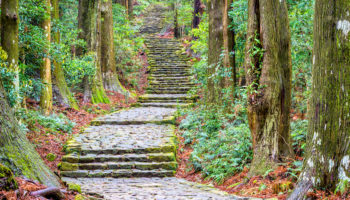 In addition to enjoying a scenic drive there and back, you’ll visit the stunning Toshogu Shrine and beautiful Kegon Waterfall, among other sights. See trip reviews & prices. West of Tokyo is Mt. Fuji, a landmark that can be seen from certain spots in the city. While admiring the often snow-capped peak from the capital is beautiful, it is also worth escaping Tokyo for a day and visiting the mountain up close. Mt. 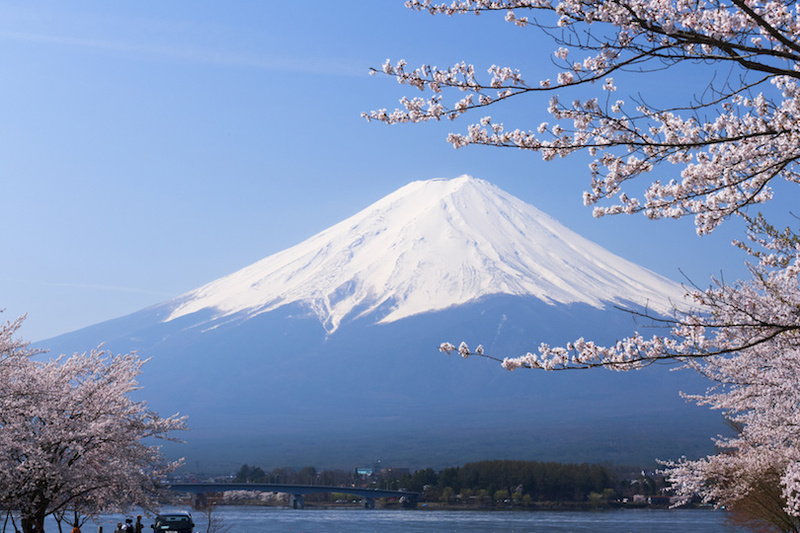 Fuji is the tallest mountain in Japan and an iconic landmark with tremendous significance in local culture. Hiking to the summit can be challenging, and there are multiple route options available for hikers. Gotembaguchi is the toughest and longest route, while the route from Kawaguchiko 5th Station is just as challenging but shorter. Guided tours are often the best way to summit Mt. Fuji. The easiest and cheapest way to get to Mt. Fuji using public transport is to take a direct bus from either Tokyo or Shinjuku Station; these run very frequently, taking around two hours. You can get off at Kawaguchino Station, Fuji-san Station, or Lake Yamanakako, depending on what you want to vist. To get up to the famous 5th Station, you’ll have to get off at Kawaguchino Station and take another 45-minute bus journey there. While you can visit Mount Fuji by public transport, you’re probably better off taking a guided tour if you want to see as much of the area as possible. This is because as well as taking you up to Mount Fuji’s famous 5th Station – where you can enjoy breathtaking views – you’ll also get to go for a cruise on the beautiful Lake Ashi and visit the summit of Mount Komagatake. See trip reviews & prices. Just 55 km (35 miles) south of Tokyo is Kamakura, a small city that offers a combination of fascinating temples and scenic beaches. Kamakura has a staggering history, with evidence of initial settlement more than 10,000 years ago! Once the capital of the Kamakura Shogunate, the destination was a mere fishing village by the 20th century. Today, you will want to check out the 12th century Tsurugaoka Hachiman-gu Shrine, where weddings are held almost every day of the year. Then, make your way to the Great Buddha of Kōtokuin, which is the third largest Buddha statue in all of Japan. From Tokyo Station, it takes just under an hour to get to Kamakura, as the JR Yokosuka Line takes you directly there. These run very frequently and tickets cost 920 Yen. You can do almost the same journey to Kamakura on the JR Shonan Shinjuku Line departing from Shinjuku Station. Once you arrive in Kamakura, you’ll find that most of the main sights are within walking distance of the station. Many people who visit Kamakura opt to take a guided tour to the city; with an expert guide at your disposal, you’ll come away having learned a lot about fabulous sights such as Jomyo-ji Temple and Hokoku-ji Temple. As well as exploring Kamakura, tours also take you to Enoshima, where you can explore the small island’s beautiful beaches. See trip reviews & prices. Southwest of Tokyo is Hakone, a mountainous region that makes for the perfect day trip from Tokyo. Easily accessible from the capital by train, Hakone revolves around the Fuji-Hakone-Izu National Park. This is a hotbed of volcanic activity, and it even offers spectacular views of Mt. Fuji in the distance though clouds and poor visibility often block the view. 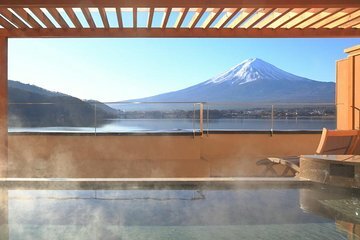 Some of the outdoor adventures you can have in Hakone include riding the cable car to the Great Boiling Valley full of sulfurous springs, hiking around the scenic Lake Ashi or taking a dip in one of the many local onsen, or Japanese hot springs and spas. Lying around 90 kilometers to the southwest of Tokyo, Hakone is very simple to get to by public transport, and it generally takes about two hours to get there. Just hop on a Shinkansen bullet train from the center of Tokyo to Odawara Station. Here, you’ll need to transfer onto the Hakone Tonzan Line, which will take you the last 15 minutes to Hokane. Alternatively, you can take the ‘Romancecar’ – a direct express train that takes you from Shinjuku Station in Tokyo to Hakone. It takes around an hour and a half. 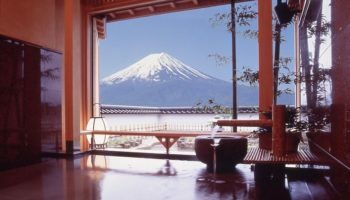 Although most sights are within walking distance once you arrive in Hakone, you’ll have to take another half hour bus ride if you want to visit Fuji-Hakone-Izu National Park. A fantastic way to see the stunning scenery surrounding Hakone is to take a guided tour to the region. With incredible sights like Mount Fuji, Lake Ashi, and Hakone National Park for you to enjoy, it’ll certainly be a memorable day, and your guide will tell you everything there is to know about the amazing natural sights you visit. See trip reviews & prices.